Visible from 2500 feet. Works 5 to 7 days from a single charge. MUTCD compliant. See Detailed Product Info Below. 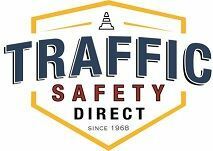 Busy intersections, crossings at high-speed roads, and stops around curves and bends can pose serious danger to drivers and pedestrians, particularly at night and in rain, snow or fog. Our solar powered LED stop sign grabs drivers' attention. Its bright blinking lights and reflective 3M material can been seen from 2,500 feet. It's not only an enhanced safety sign option, it is also energy efficient and versatile. 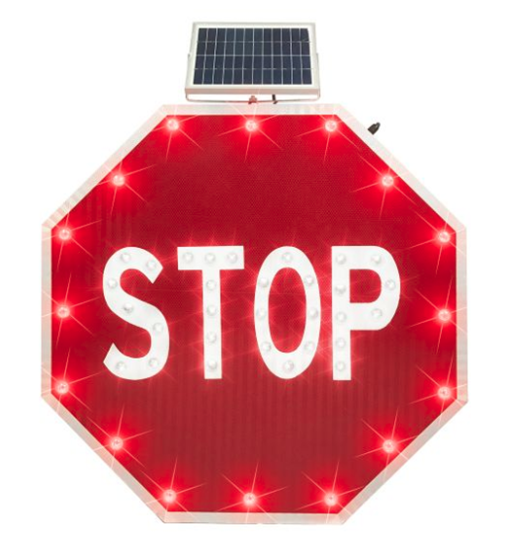 The rechargeable battery and mountable solar panel allow for illuminated stop signs wherever there is sunlight. Fast Delivery. Great Prices. Order Your Solar Powered LED Stop Sign Today. Looking For A Flashing Pedestrian Crosswalk Sign? Our Solar LED Pedestrian Crossing Sign can also be seen from 2500 feet away, is programmable for 12 or 24 hours, works 5 to 7 days on a single charge, and blinks 50 times per minute.